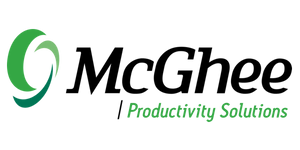 McGhee Productivity Solutions’ Optimizing Take Back Your Life! (TBYL): Personality & Productivity program explores productivity as it relates to different personality styles. Individuals are each wired to handle people, teams, conversations, problems, stress, workflow, tasks, and daily life differently based on their individual personality style; which includes motivation and how they respond to key observable behavioral traits. In this course, participants learn how to apply a variety of productivity principles based on their individual personality style. Since productivity is not one size fits all, this course supports an inside out approach to increased productivity. Participants will increase engagement toward key work objectives. They will learn the best ways to organize the work day, handle workflow tasks, manage energy, engage with people, reduce time wasters and create productive conversations and communications by understanding their self, team members and clients. In addition, participants will learn how they can recognize signs of stress and low engagement to prevent burnout. Participants will be empowered and more accountable to how they handle their day based on how they naturally prefer to interact and engage at work. Participants can expect to gain awareness about how they utilize and waste time at work and how to incorporate this awareness to make meetings, people, tasks, and email management more effective, efficient and productive. This course includes the full DiSC personality assessment and participants are encouraged to take the assessment (only once or will be charged an additional DISC fee) before the course to help them better understand their personality style. Follow-up coaching sessions on your DiSC results are available for an additional cost. Disclaimer: You must have taken the Take Back Your Life! class before attending this course.